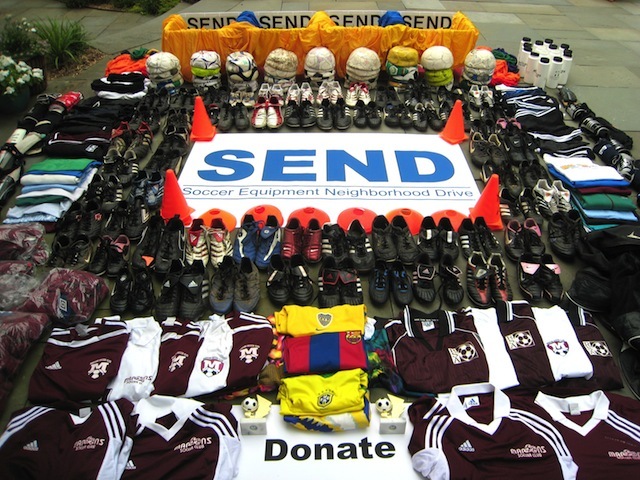 SEND is easy & free to set up in your community. We have years of experience and all the materials you need to get going. Contact Us to learn more or volunteer! If you're anything like us, you've got sports equipment piled up in the closet and so do your neighbors and teammates. It's not over-used, just outgrown so why not help collect it and donate it to those in need? We welcome any opportunity to collaborate with community leaders. Franchising SEND is particularly well suited for dedicated high school students and their parents. SEND can help passionate volunteers build character, compassion, and develop skills in leadership, entrepreneurship and business. The equipment is out there and so are children who need it. You can easily connect the two. With years of experience, we have all the materials and expertise to help you get going and make your community a SEND community. Contact us to find out how.